The Framework for Peaceful Co-Existence on Ecinis and Sarpedon, more commonly known as the "Assumption Accords" was an agreement reached by the governments of Caphiria and Urcea, settling longstanding disputes over territorial boundaries on Ecinis. The agreement entailed territorial cessions of Urcean Ecinis and the island of Korbos to Caphiria in exchange for Caphirian recognition of New Yustona, a demilitarization of Ecinis and the greater Dorhaven region, in addition to creation of free trade zones in the same areas. A separate agreement reached later between the two powers allowed for Caphirian investment into Urcea's Punthite sphere territories and protectorates. Former Procurator and Special Envoy to Caphiria Michael Witte lead the negotiating team for Urcea. The Accords are widely agreed to have brought about the end of the Occidental Cold War. As part of a general policy of containment and defense of the Holy Levantine Empire specifically and Levantia in general, the Apostolic Kingdom of Urcea adopted a policy of gaining land to create a buffer between the growing Caphirian influence and itself. At the end of the War of Ecinis, Urcea acquired a small strip of land on eastern Ecinis with several ports and fortresses in order to protect Urcean interests in the Occidental Territory. Urcea later acquired a territorial interest in Dorhaven in 1782 as part of its support for Veltorinan independence. These events created the Caphirian perception of Levantine Creep, sparking several centuries of animosity between Urcea and Caphiria and a source of diplomatic tension between the two countries. Low level negotiations between Urcea and Caphiria began as early as 2029, with Urcean diplomats interested in including Caphirian investors in projects in New Yustona and other future area in Punth, but were rebuked after the Caphirian Government publicly began a "No-Deals-Without-Ecinis" policy. 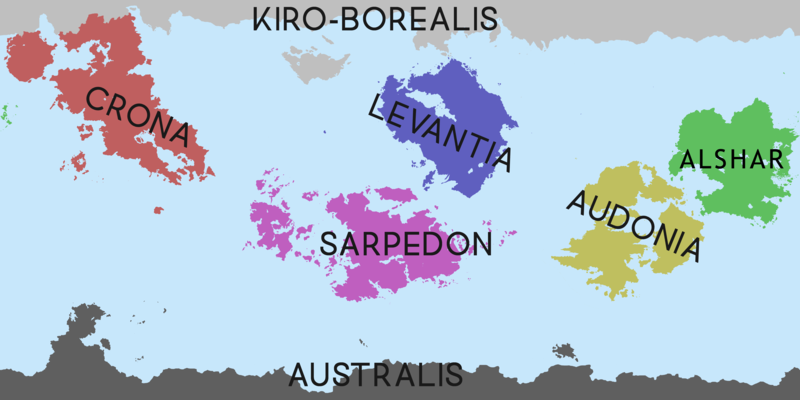 Negotiations broke off until February of 2033, when Urcean diplomats offered the recently-acquired island of Korbos for demilitarization in the Dorhaven and Ecinis areas alongside a free trade and free travel agreement. These talks continually escalated until high level negotiations - including between King Riordan VIII and Imperator Alexander Constantinus I themselves. Urcean negotiators finally agreed to cede the Ecinis Strip to Caphiria following Riordan's intervention; it is claimed that the King informed negotiators to work with an "assume good faith" attitude towards the Caphirians.